With a population of over 18 million, Mumbai is one of Earth’s megacities. It’s always been a gateway city, through which many enter and leave India. It’s a city of contrasts, with a multicultural, multilingual population, and the very poor living side by side with the extremely wealthy. Mumbai is an economic powerhouse, driving the development of modern India. Yet while its skyline of contemporary skyscrapers embodies a powerful entrepreneurial drive, the timelessness of ancient India can be found in temples across the city and at the Elephanta caves. 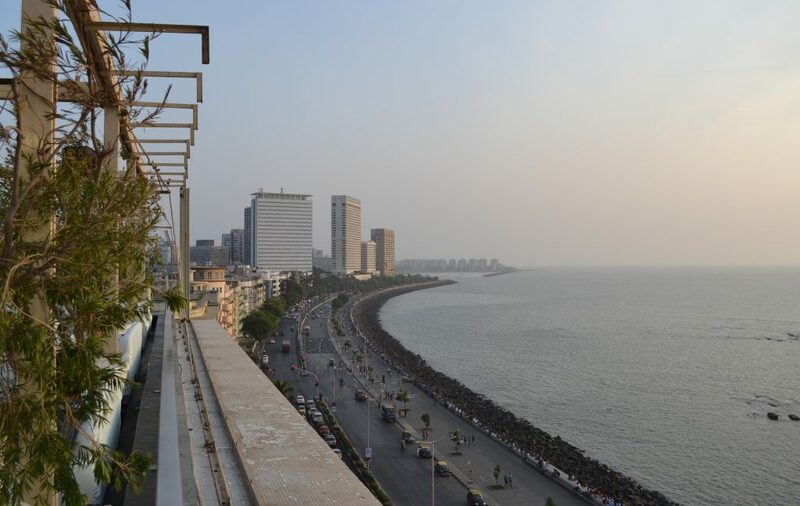 Perhaps most captivating of all is Mumbai’s romantic heart, evoked in the balmy palm-lined promenades of suburbs like Bandra, and the city’s status as the home of the Bollywood movie industry. Mumbai is not a major museum city, and if your visit here is short there are probably better ways to spend your time in Mumbai. 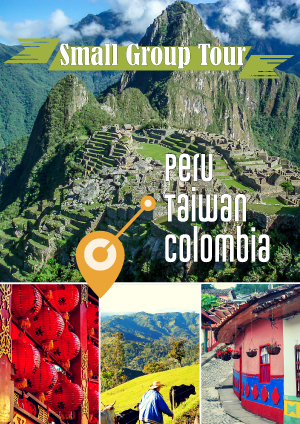 However, if you have the time and are interested in checking out the city’s cultural offerings, the following are worth a look. The museum is situated in a beautiful colonial building with Mughal style architecture, which is worth a visit in its own right. It holds collections of artifacts from around the world, and gives a deep and interesting insight into Indian history and culture, from ancient Buddhist statues to paintings from the colonial era. This gallery in Kala Ghoda has free admission. It’s a venue for arts and crafts from around the world and contemporary art in Mumbai. The rooms are small so it doesn’t take long to walk around. A larger art gallery than Jehangir, Mumbai’s National Gallery is dedicated to Indian art from the 1950s to the present day, and also displays foreign art and statues. This festival of the arts is like a living museum, and takes place in the streets of Kala Ghoda during February each year. 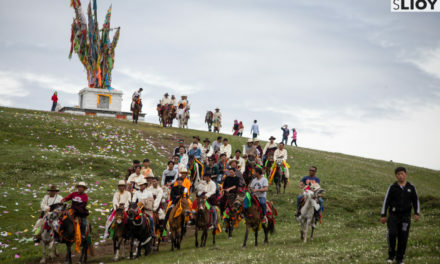 It’s worth visiting for the interesting performances and cultural displays, where art is expressed in all its forms. 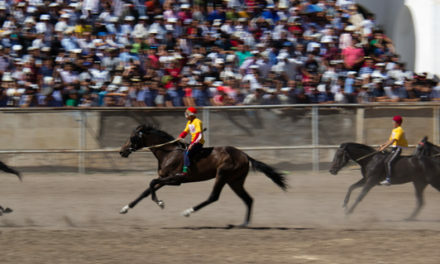 The next festival will take place from 3 – 11 February 2018. 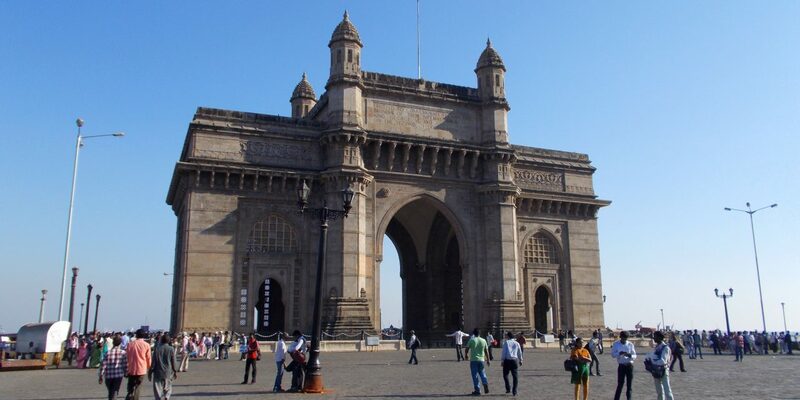 This massive, ornate archway stands on the edge of the harbor, and celebrates Mumbai’s heritage as the gateway to the rest of India. In colonial times, ships from Europe arrived here as their first port of call on the sub-continent. The arch was built to commemorate a state visit by King George V, and in 1948 the last British soldiers to leave passed through the gateway, in a symbolic demonstration of India becoming independent. Today it’s the top sight in the city. The promenade along the expanse of Back Bay is a superb place for sunsets and people watching. All of Mumbai comes here, to socialize or just gaze at the ocean. In the evening street lamps come on along Marine Drive, forming a row of lights strung out like a string of pearls, and known as the Queen’s Necklace. An island in the middle of the bay near Mahalaxmi is home to the tomb of Haji Ali and the mysterious legend that surrounds him. The island is accessible by causeway only when the tide is low, and is a site of pilgrimage for local Muslims. Haji Ali was a saint who died while traveling to Mecca, and his body was said to have been carried on the sea and washed up upon the shores of this small island. There’s no charge to visit. A true wonder of Mumbai, this fascinating scene is where many of the city’s dhobi wallahs work, washing clothes outdoors in large custom-made vats, all day every day. Mumbai’s suburban train network is hectic and fascinating. Trains arrive and leave within a couple minutes of each other, often packed, with people hanging out of the doors. At times the carriages crank along rails suspended just above the sea, carve a route through slums, or trundle through the pouring monsoon rains. The local train network feels like the lifeblood of Mumbai: constantly pulsing, full of energy, and keeping the city running. The city center is compact, compressed into the southern end of the peninsula, and prevented from spreading out by the sea on both sides. Exploring on foot is rewarding and parts of the center are easily walkable. Fort is full of engaging colonial architecture and has plenty of appeal and a kind of run-down charm. CST is an impressive building, still operating as the city’s most important station, and you might recognize its interior platforms, which featured in the movie Slumdog Millionaire. Nearby is Mumbai’s GPO, another grand colonial building, the Azad Maidan cricket ground, and the famous Crawford Market. Among the civic buildings are interesting narrow alleyways, where life is lived away from the grandeur. A short walk south brings you to the Asiatic Society Library, a striking neoclassical design, and Horniman Circle Garden, which is a little oasis of tranquillity. Churchgate is walking distance from both the Gateway of India (25 mins) and Marine Drive (15 mins), and it’s a nice idea to take a walk between the two sights from one coast to the other, via Churchgate. There are plenty of cafes and food and drink stands along the way if you want to stop off. Churchgate station is the terminus for the Western line railway, which is a handy way of getting around the city and into the northern suburbs. The station itself has good options for street food and fast food. 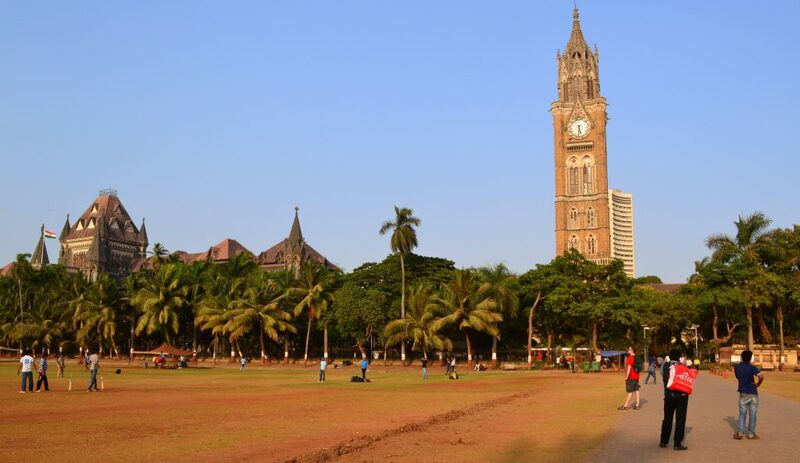 Around Churchgate is another hotspot for colonial-era sights, including the Oval Maidan, Rajabai clocktower and the University, the high court, and the Flora Fountain. If you want to explore the city beyond the usual tourist routes, it’s rewarding to make a foray into the suburbs or the downtown areas. 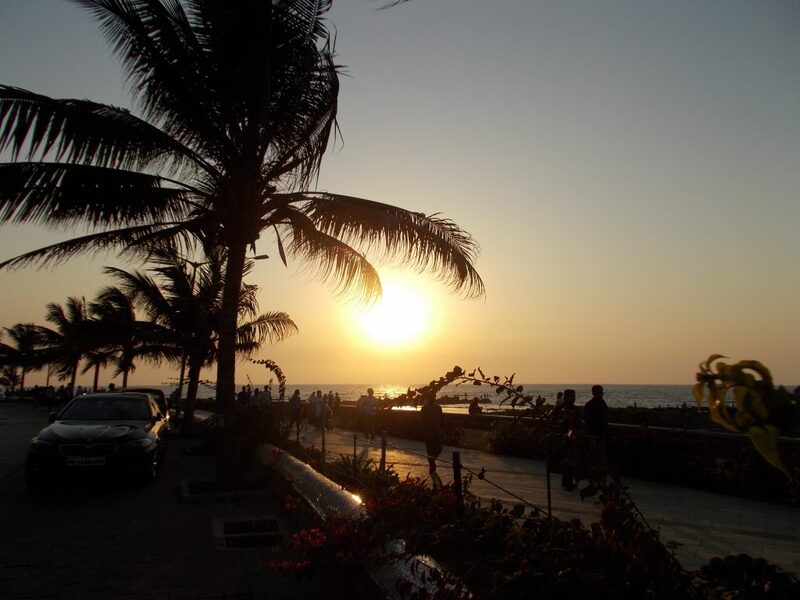 Bandra, Khar and Juhu are some of the most appealing suburbs: Juhu has a sandy beach, and Bandra is home to many Bollywood stars. From any of the stations, head west towards the seafront to find the nicest areas. 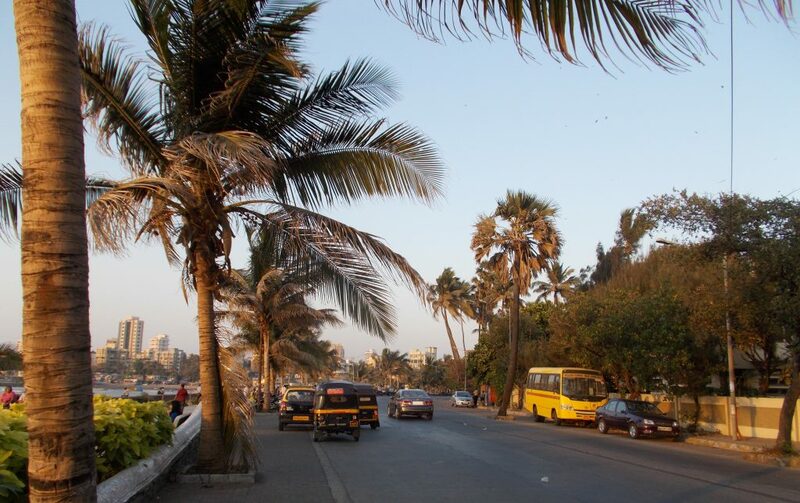 Among other districts, Lower Parel is worth visiting for futuristic skyscrapers and shopping, while Dadar and Mahalaxmi have important Hindu temples. All of these are reachable from stops on the Western line railway from Churchgate. Elephanta Island lies in Mumbai’s vast harbor and makes for a good day trip. Impressive caves have been hewn from the rock to create Hindu shrines, and there are monkeys in the surrounding trees. To visit the island, just walk round to the back of the Gateway of India, where there are boats moored, and find a man selling tickets. The grand edifice of the Taj Palace Hotel is unmissable from the Gateway of India. Although it’s too expensive to be a realistic accommodation option, this needn’t prevent you from visiting. You can go to the restaurant on the first floor and have afternoon tea served complete with sandwiches and cake, or just order a cup of tea if you’re on a tight budget. There’s a nice view of the harbor and the Gateway of India, and it’s a good opportunity to take a look at the luxurious interior of the Taj Palace. The shop downstairs is also a good bet for picking up postcards. 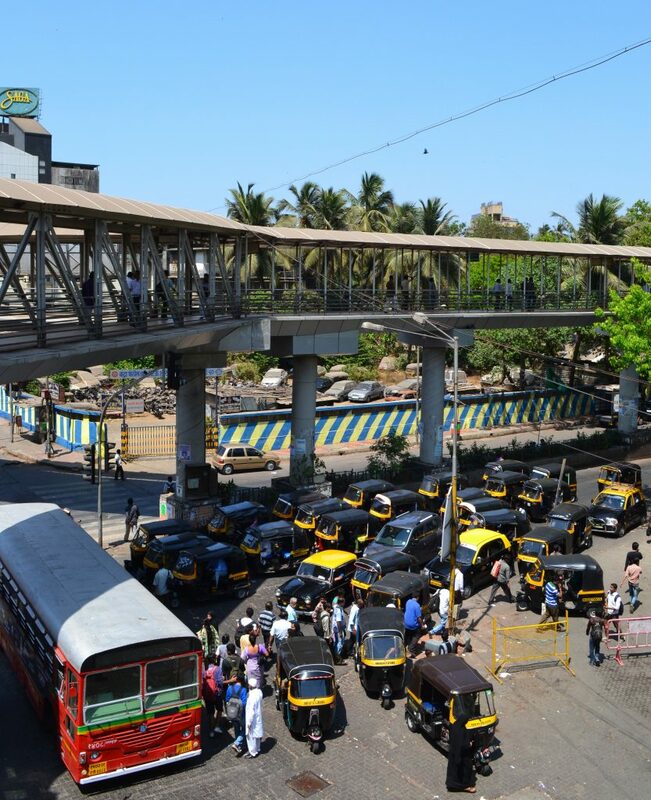 Skywalks are a unique feature of Mumbai: elevated pedestrian walkways raised a few meters high. They generally link up to stations, and were a local government initiative to provide commuting pedestrians with a safer route. It’s not been a successful endeavor, as most people still cross the roads on foot as they always have. However, the skywalks make for interesting walks with a revealing perspective on the city. Try the Bandra skywalk: from Bandra station, heading east takes you towards slum housing and the green space around the railway tracks, while heading west takes you past two mosques. A classic restaurant in Colaba, Leopold’s is firmly part of the traveler scene and has more than its fair share of history. The first thing to say is that the food here is great: fresh, authentic and delicious. The place can get crowded on a Saturday night; you might end up having to queue and then sharing a table with another party, but the food and the ambiance are worth it. Leopold’s featured heavily in the novel Shantaram, and became a popular backpacker hangout. It was targeted in the 2008 Mumbai terror attacks, and you can still see bullet marks on the walls inside. This chilled restaurant lies in the suburb of Khar and offers interesting and tasty food in relaxing surroundings. You can get there by taking an auto rickshaw from the station at Bandra or Khar Road (accessed from the Western line railway from Churchgate station). It’s somewhere that’s a little bit different, and it’s very popular with locals. This Southeast Asian restaurant in Bandra will make you want to return again and again, with food that’s just so good. Try the Burmese-style “big soupy meals”: delicious bowls of crunchy noodles and meat, packed with flavor. This rooftop restaurant sits on top of one of the tallest buildings in South Mumbai: the Intercontinental Hotel. It’s too pricey to eat here but go for a drink at sunset to make the most of the stellar location without breaking the bank. Just get one or two beers here and soak up the atmosphere, while you enjoy splendid views of sunset over Back Bay. Drinks are served with free nibbles. Positioned in the heart of colonial-era Fort, the Residency Hotel is a pleasant hotel with rooms of a good standard. It’s walking distance to anywhere in the city center, and the surrounding streets are filled with the ever-fascinating life of Mumbai, from sugar cane juice stands to heritage buildings. The Oasis Hotel is a budget option close to CST; it’s nothing special but offers decent value in a handy location. Rooms are basic but come with an ensuite wet room attached. A great hostel in Colaba, close to lots of restaurants, shopping, the Gateway of India and all the backpacker facilities of this area. It’s open to men as well as women, and room rates include breakfast and dinner. If you’re looking for somewhere special, try the Trident at Nariman Point. Its well-appointed rooms have spectacular views over the bay and across the whole city. October to March is the best time to visit Mumbai. During the ‘winter’ months the city bathes in beautiful sunshine, and the temperature hovers around a constant 30-32 degrees. The weather is balmy but not humid, with pleasant ocean breezes, so you can generally do whatever you want to outside. From April onwards the heat and humidity increase, becoming almost unbearable just before the monsoon. However, this is also a scenic time of year, with many flowers in bloom. Mumbai bursts into color with bougainvillea on every corner in the suburbs, and the gulmohar or flame tree, with its mass of red-orange flowers. The monsoon rains begin in June and carry on until September. The monsoon is an intriguing time to visit, when everything gets rejuvenated: the grass of the cricket grounds and parks changes from brown to lush green. But it’s not the time for blue skies, you’ll need a thin raincoat, and some of the streets will be flooded. There are many festivals celebrated in Mumbai, but here are three of the major occasions. You might want to plan your visit to India to coincide with one of these. Diwali, the festival of light, falls in October or November each year, and decorations are often left up until Christmas. The festival of Holi is celebrated at the end of winter, in March, and is another interesting time to visit the city, when everyone goes outside and throws powdered paint around. Ganesh Chaturthi is a big event in Mumbai, and takes place in September. Models of Lord Ganesha are transported to the sea and immersed. It’s a massive celebration, and Chowpatty beach is a center of the action. For relatively short distances, outside of the city center, the best way to travel (and the most fun) is by auto rickshaw. These are great for getting around the suburbs, from train stations to your hotel, from a restaurant to the beach or a friend’s place. However, rickshaws aren’t permitted in South Mumbai, the city center. There you’ll need to take a taxi, or walk. Auto rickshaws and taxis both run on a meter, and you should be able to get rides on the meter without too much hassle. Some drivers may try to rip you off, but you can deal with this by clearly asking to go to your destination “on the meter” before even getting in. If they refuse, just don’t get in – another one will come along really soon. It’s possible to get ripped off being overcharged by taxis. It’s not so much of a problem with the auto rickshaws because they don’t operate in the city center, so most tourists don’t even see them. If you make a firm request to travel by meter before getting in, you’ll stand out for being savvier and you should be fine. There’s a premium on airport transfer and many drivers know this is a way to make money. But you can save on the airport transfer by taking an auto rickshaw instead of a taxi and heading to the nearest suburban rail station: Andheri. From there you can catch the Western line train to Churchgate in the city center, or wherever is nearest where you’re staying. Even if you have to take a taxi at that end, the overall distance and cost will be lower. There is loads of nice street food on offer in Mumbai, including samosas, hot chicken wraps, masala dosa and sugar cane juice. Enjoy the delicious street food treats this city has to offer and cut down on restaurant meals. Local fast food can also be pretty good, including spicy bean burgers and chicken burgers, and is cheaper than the Western outlets. Accommodation is comparatively expensive in Mumbai. If you want your own room instead of a hostel bed, consider renting a small apartment if you’re planning to stay for a month or longer. Where you might pay $25 per night for a small private room, you could rent a studio in a nice suburb for $250 a month. Mumbai’s Chhatrapati Shivaji International Airport is a major regional airport, and one of India’s largest transport hubs. It is served by a wide range of international flights, and the domestic airport is located nearby if you’re entering by air from elsewhere in India. Taxis are available just outside the airport for transfer into the city proper (approx 1 hour journey time). Tip: On leaving the international airport, taxi touts will be extremely keen to take your bags from you, even if you have only a light or small bag, and it’s just a few steps’ walk to the taxi. It might seem like politeness to relieve you of your luggage, but they will be expecting payment. Once they have your bags it’s harder to haggle over the fare, too. So hang on to your bags if you don’t want to pay a porter. Long distance train services generally arrive into CST or Mumbai Central stations. 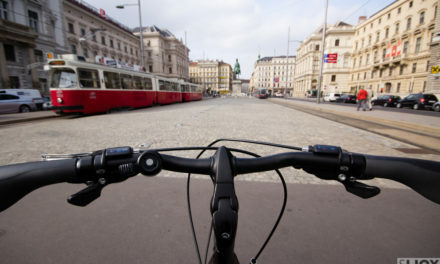 Both are fairly convenient locations to arrive in, as they’re already in the heart of the city, and have good onward travel connections. From either, you can get on the suburban rail network, catch a bus, take a taxi, or walk. Bus services arriving from elsewhere in Maharashtra stop at various points throughout the city, and the bus stops can be confusing. If you’re not put down at a station you may have to ask a fellow traveler to orient you, or just flag down a taxi once you arrive. All photos by Jonathan Goddard.